ORSOS Islands are over 122 feet long and more than 68 feet wide, which offers excellent potential for a sophisticated and spacious layout. ORSOS Islands offer an enormous amount of comfortable living space on three floors. 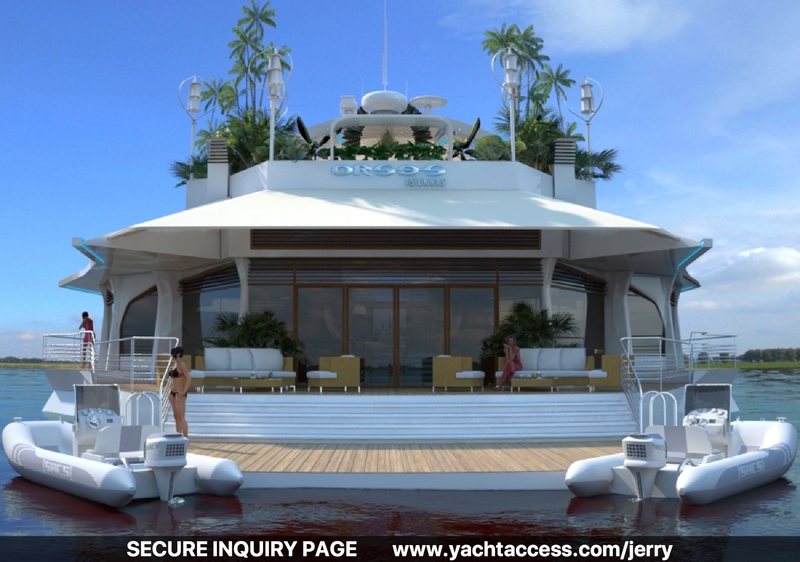 The innovative design promises Island living more comfortable than just about any luxury yacht, at cost-effective purchase and maintenance. Equivalent to six double rooms, the Island offers plenty of room for up to 12 residents. If required, accommodation for up to four staff members as well as an office and a recreation room are available. With its wide variety of habitats, on many different levels, ORSOS Islands offer a first class setting for an exciting new home, rental, or luxury yacht experience!